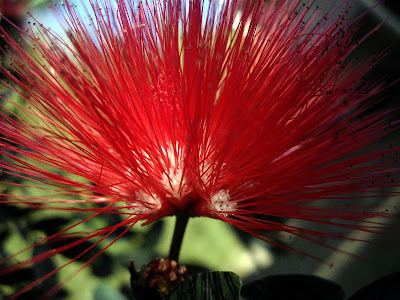 A vibrant burst of colour. 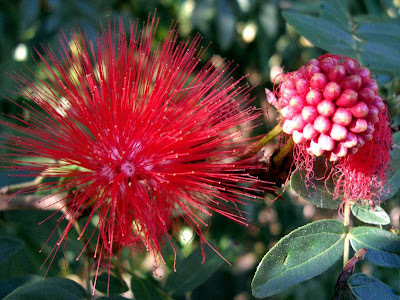 Each little bud bursts open to form a tiny white feathery flower and long red stamens. 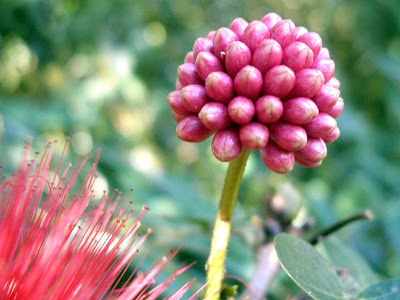 Calliandra Bloom, Bud and dying flower, the flowers loose shape and dry out then fall to the ground.